Game wardens in Ohio are employees of the Division of Wildlife of the Ohio Department of Natural Resources and are known as wildlife officers. Ohio’s geography is highly diverse and home to a wide range of habitats for an equally diverse range of wildlife, fish, and birds. While many of the residents of Ohio watch and photograph wildlife, about 1.5 million of the state’s citizens hunt and fish. Ohio’s wildlife officers are fully commissioned law enforcement officers and therefore have statewide jurisdiction when it comes to enforcing conservation laws, firearms regulations, and preventing illegal dumping and littering. These officers manage the activities of hunters, anglers, visitors, and violators throughout Ohio. In addition, wildlife officers in the state communicate with the public about conservation efforts and educate both youth and adults about preserving Ohio’s natural resources. The combination of knowledge related to wildlife conservation and good old-fashioned law enforcement practice means these jobs are only open to exceptionally well qualified candidates. That, combined with the low rate of turnover among wildlife officers, makes for a competitive selection process. Individuals who are passionate about Ohio’s outdoors and have a desire to become highly trained law enforcement officers are well suited to become wildlife officers in the state. These jobs present an exciting opportunity for individuals who seek a challenge in their professional life. Officers can make arrests and testify in court, and frequently conduct investigations in concert with other law enforcement agencies. Applicants who feel up to these challenges must be prepared to demonstrate skills and experience that will distinguish them from other candidates. 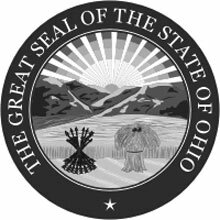 Citizenship: Proof of U.S. citizenship or of permanent resident alien status; must be a resident of Ohio at the time of appointment. License: A valid Ohio-issued driver’s license is required. Individuals must agree to participate in driver safety training through the state as they arise. Military Service: Applicants who are former members of the United States military require ‘Under Honorable Conditions’ discharge documentation. Illegal use of drugs or conviction for drug related violations. Illegal drugs include anabolic steroids used after February 27, 1991. Additional Requirements: Proficiency Test for Wildlife Officer Cadets. Hearing: The applicant must have ‘good’ hearing, unaided. Vision: Visual acuity not less than 20/40 in each eye without correction and corrected to 20/20 in each eye. Candidates must have normal color vision and binocular peripheral vision. Additionally, a swim test will include the ability to swim a distance of 100 yards in five minutes or less and tread water for a minimum of five minutes. Demonstrate an aptitude for collecting and preserving evidence, writing reports, and testifying in court. The Ohio Department of Job and Family Services reported that the median salary among wildlife officers in the state exceeded the national median for this professional classification by 16%. As of 2016, Ohio’s wildlife officers earned a median salary of $59,758 while the hourly wage was $27.73. Statewide, the most experienced wildlife officers, representing the top 25%, earned an average of $61,568 ($29.60/hour), while those starting out averaged $47,455 ($22.81/hour).